Our service and quality are your strength. We offer you the possibility to select your preferred assortment of flowers and plants yourself, without having to leave the door. In order to provide you with the best possible service, we visit you several times a week. Through our simple but extensive webshop you can place an order with us several times a week. This order is then processed by us, and delivered to you the following day. For more information, please ask your seller. Our company H. v.d. Nagel & Zn. is a family business that was founded in 1937 and has been active ever since. Over the years we have grown into a company specialising in exporting cut flowers and plants to Germany and to England. Because we have the whole process of purchasing, processing and transport under our own management, we can guarantee you -our customers- products of the highest quality and freshness. You as our customer are central to us: this is evident not only from our consistent quality, but also from our service. This way all our customers can purchase from us in the way that suits them (online from our webshop or through our tours local to you). Reliability and service for you are our focus. This has been the case for many years and will remain so in the future. We work together with various growers and suppliers to provide you with the highest quality of flowers and plants. Thanks to our close cooperation, freshness is always guaranteed. Arend Roses has been a leading Dutch rose grower with an excellent reputation for many years now. In 1976 Nico van der Arend started as Rozenkwekerij Van der Arend in the town of Monster, South Holland, out of his pure love of roses. After four years, the company continued in Maasdijk. Nowadays, Arend roses are grown on eleven hectares, spread between two locations in the Municipality of Westland. Boers Amaryllis is a modern amaryllis nursery located in the Westland region (’s-Gravenzande). For 50 years, this family-run business has stood for a high-quality product. Since 2006 Boers Amaryllis has been managed by Erik Boers, who took over from his father. Boers Amaryllis provides the lovely cut amaryllis in the Decorum assortment. Flowers are produced from October through February, with a peak in December for Christmas. Erik Boers cultivates fine and exclusive varieties, especially in the classic colours of red, white and two-toned. Erik provides his finest grade every season with the compliments of Decorum. Borst Bloembollen has a fine company in Obdam. Spread over 120 hectares, they produce many different varieties of tulips. The tulip bulbs are grown not only in Obdam, but also in West Friesland, Flevoland, the northeast polder, North Brabant, France, New Zealand and even Chile! In this way, Borst greatly extends its season, from October to May! In this season some 30 million tulips are forced, an impressive number! The tulips remain in the greenhouse for a relatively long time, which improves their vase life and leaf colour. Borst specialises in exclusive tulip varieties and flexibility. With three automatic bunching machines available, Borst can make up different quantities of bunches. All of the flowers are pretreated, so the tulips do not continue growing as much and last longer. And specially for Decorum, Menno and his team select the finest quality tulips to supply each season with the compliments of Decorum. CoasTulip is a partnership between five companies that strive for top quality tulips. Cultivated with passion using traditional methods. These companies are all located in the North Holland coastal town of Heemskerk. Because of the outdoor cultivation, a beautiful heavy tulip is produced. CoasTulip companies specialize in exclusive tulips of excellent quality. 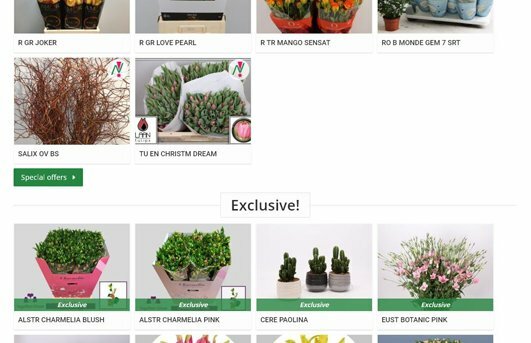 Fresco Flowers was founded in 2005 and is a flower packing company located on the world’s best known and largest flower auction, Royal FloraHolland Aalsmeer and Rijnsburg. This unique location serves as an excellent platform for the distribution and sale of flowers to Europe. It also gives direct access to the latest market information and trends in the international flower industry. Once the roses from Kenya and Ethiopia with conditioned flights arrive in the Netherlands (Amsterdam) and Belgium (Liege), they are taken over by our freight forwarder and immediately transported to our location in Aalsmeer. Hofland is a familiar name in the freesia world. On an area stretching over almost five hectares in Maasdijk, Marinus and Erik Hofland produce 17.5 million stems per year. The five colours cultivated at Hofland are available yearround in the best quality! Hofland makes every effort to cultivate as sustainably as possible, and the freesias they deliver are not only lovely, but also responsible. Freesias are known for their scent, but little attention has been paid to that aspect so far. Hofland has selected several special, finely scented freesias for marketing under this unique selling point. And that is not all. Hofland can package freesias in bunches of 20 spikes and select exclusive varieties only for Decorum. Erik delivers his finest grade every day with the compliments of Decorum. Gerberas are classics in the ornamental flower range. They are everything a flower must be. A beautiful creation by Mother Nature. And Holstein Flowers’ great passion. We have been growing and breeding gerberas for more than four decades and a family business we are even longer, since 1946, which ensures a maximum involvement in the gerbera cultivation. At every stage of the process, from breeding to packing.We have more than a hundred varieties at our two locations in De Lier, eighty percent of which come from own breeding. They were selected based on their added value in the area of cultivation performance, range and sustainability. And produced with the latest technologies to ensure year-round high level production. The state of the art technology still goes hand in hand with craftsmanship, with four decades of but mainly with passion. Passion for gerbera cultivation. Jac. Oudijk specialises in cultivating mini-gerberas (germinis) of top quality. Together, Dirk-Jan and Laurens Oudijk continue to run the family company of 7 hectares with passion. With over 40 years of experience, they have the knowledge and skills to keep their position at the top. The greenhouse at Jac. Oudijk is largely automated. All orders are harvested manually to order, but trolleys full of flowers drive automatically to the barn where the flowers are graded. Each bucket is labelled with its own code with product and buyer specifications, so orders can be prepared quickly and error-free. Bunches can be created in different sizes, and each buyer can choose his own packaging, a box, a diamond, bunched, in a sleeve, or loose in water. Practically anything is possible! Oudijk distinguishes itself by creating special mixtures for the different seasons and an exclusive one for Decorum. Laurens and Dirk-Jan Oudijk supply more than 50 different germini varieties that they can supply fresh daily. Kwekerij JCM Mulder is specialized in asparagus cultivation on 40,000 m2, in five types of asparagus. These five types are Asparagus Setaceus, Asparagus Densiflorus Meyers, Asparagus Falcatus, Asparagus Umbellatus en Asparagus Densiflorus Cwebe. Kwekerij JCM Mulder has more then 35 years experience in asparagus cultivation. Therefore you can rightly call them the 'Specialist in Asparagus'. The company started small and grew to became the market leader in ornamental cutting asparagus. JCM Mulder is centrally located in Westland, near Flora Holland Naaldwijk and easily accessible through the highways for fast and fresh delivery. Around the year Asparagus Setaceus, Asparagus Densiflorus Meyers, Asparagus Falcatus, Asparagus Umbellatus and Asparagus Densiflorus Cwebe are available in high quality. Asparagus is a perfect product to use in wedding and funeral bouquets. It can also be very graceful at home, in for example a table bouquet. There are also many other implementations of Asparagus. During the Christmas period the Asparagus Setaceus can be painted in winter colours. Our family business has been established in flower bulb cultivation since 1931 and we have been fully specialised in lilies for the last four decades. We produce around nine million Lilies of Life per year. At Lilies of Life we stand for Fair Trade. Our philosophy and processes go much further than legislation and rules. We prefer to lead the way when it comes to sustainability, and we do! Founder Aad Meewisse decided in 1981 to grow roses. The most modern techniques and innovations have provided a wealth of experience over the years. 8 years ago son Tom joined, and together they bundled the latest insights, knowledge and the most modern techniques. A good move, it turns out. Thanks to the knowledge and experience they have acquired, they create longer and heavier roses, all of which are carefully tested for quality. Only when the heart and leaf is approved, the Red Naomi rose deserves the A1 label. In addition, more than 20,000 lamps and an internal training program ensure a stable and reliable supply. Tom Meewisse's liveliness and heartwarming enthusiasm and passion contribute to the reliability, quality and continuity where progress and improvement are central. Optimizing the rose, looking at how it can become even better and studying the growth process make it interesting. 'Every day is fun,' Meewisse says with a twinkle. Porta Nova is a rose nursery that specializes in cultivating top quality red roses. The company was created as a result of a merger of three rose nurseries by the names of Aad Luijk, Leon Dukker and Nico van Vuuren. These three families have been working passionately on a truly Dutch product for many years already and the base for Porta Nova was already laid 115 years ago when the families Luijk and Dukker first became involved in horticulture during the 1800s. At Porta Nova, we focus completely on quality and we strive to grow the best red roses in the world. This focus is reflected in all aspects of our operations and it leads to a continuous process of improvement involving both our products and the organisation. Roseworld is a modern company where roses are cultivated in a professional way. In 2003 the company was set up by the two growers Jos Volkering and Dave van Leeuwen. Both were formerly independent rose growers and have started working together in a new location. Throughout the year, around twenty-four motivated people work at this company. The 39,000 m2 company is located at the Oostlaan in De Lier and is equipped with the most modern facilities, including a high lighting level to be able to produce high-quality roses throughout the year. 'White Naomi' is distinctive because of the smell in combination with a very good shelf life. In addition, the rose opens nicely and has a large white button. Qualisa - We built our first rose nursery in Ecuador in 1992 and now occupies an area of 15,7 hectares. In 1998 we started up our second nursery (20 hectares) and the third (13 hectares) in 2005. The 3 nurseries are located at the foot of the Cayambe volcano, an hour’s drive north of the capital Quito. The Cayambe mountain is an active volcano at 5,790 m above sea level. The volcano’s centuries-old glaciers ensure the cold wind required for the nurseries. Daytime temperatures can reach 24 degrees Celsius, dropping to 2 degrees Celsius at night. The average temperature is 12 degrees Celsius. Ecuador is located on the equator, the centre of the world. Cayambe is 0"00"00" from the equator. This ensures 12 hours of sunlight per day on all 365 days of the year. The Qualisa nurseries are situated at 2,850 metres. The intensity of the UV radiation results in our roses having such an intense and lucid colour. The weather in Ecuador consists of a winter of 6 months (rainy season) and a summer of 6 months (sunny). The mild climate, all year round, ensures the optimal cultivation conditions for the roses, while the combination of the above-mentioned factors is the key to creating the finest, longest, biggest roses in the world, and that also have the most lucid colours. The metal greenhouses in the nurseries are all equipped with computer-controlled climate management heating systems for optimal cultivation conditions and maximum protection against diseases.The nursery has its own multiplication department, processing room, cold stores and cooling tunnels to ensure that the roses are kept cool throughout the whole process once they have been cut. Lafto - Lafto Roses Plc. is a modern and sophisticated nursery at an altitude of 2300 metres, some 15 km from the capital Addis Ababa. In an area covering 16 hectares, a wide range of large-flowered roses are cultivated, meeting the strictest requirements in terms of colour, storage life and vase life. Up to date nursing cultivation facilities and a fashionable range make Lafto Roses one of the premier rose nurseries in Ethiopia. 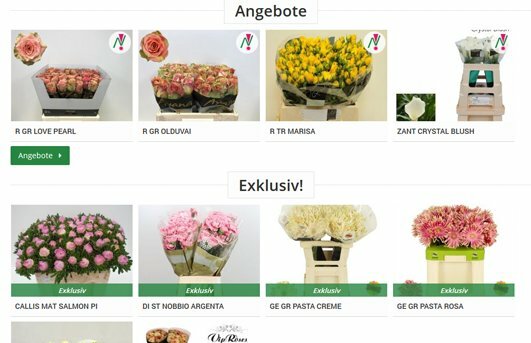 We are proud to be able to say that Van der Deijl Roses can offer you the top-quality products of Lafto Ethiopia exclusively. Henk van der Nagel starts with the cultivation of vegetables and flowers from the cold soil. By barge, the harvest was transported to the former vegetable auction on the old Rhine. The 2nd generation Henk and Jan van der Nagel start growing flowers in greenhouses. The 3rd generation Henk and Peter van der Nagel start exporting flowers to Germany. The 3rd generation Marcel van der Nagel starts with the export of flowers to England. Under the leadership of the 4th generation, a cash & carry is opened in Germany. Got any questions or remarks for us? Thank you for your interest, we will contact you as soon as possible if necessary.